I'll take customized photos and send 5 of them to you. 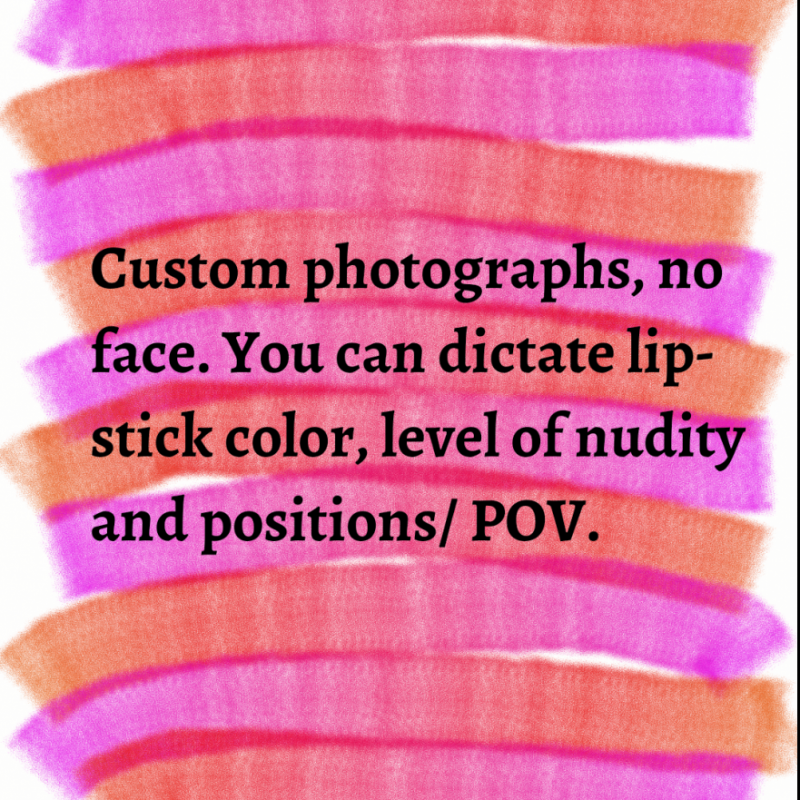 You can control things like my lipstick color, amount of clothing, positions, point of view, etc. No face.